1. 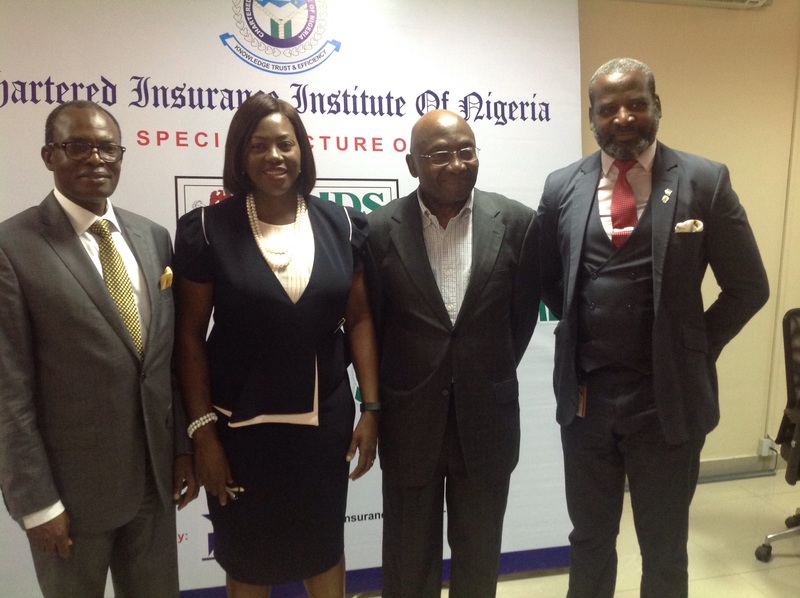 On behalf of the governing Council of the CIIN, I welcome you all to this public interest and advocacy seminar on Voluntary Assets and Income Declaration (VAID) scheme which the government launched on June 29, 2017.
this campaign sponsored by Risk Analyst Insurance Brokers Ltd.
3. This VAIDS initiative was motivated by several reasons. First, the unstable price of oil in the global market has serious negative implication for government revenue and its ability to meet its budgetary needs. As result, in 2018 for instance, the estimated budget deficit is N2.01trillion.To strategically seek ways of boosting its revenue from other sources and also bridge this funding gap, the VAID Scheme, became a compelling option. Secondly, in many other countries, tax is the main source of government revenue whereas in Nigeria, tax does not currently play a significant role. For instance, the contribution of tax (all taxes) to GDP in Nigeria is 6% whereas Ghana, Morocco, South Africa and Tunisia, respectively, have 15%, 26.1%, 26.2% and 30.3%. Given the African continent’s average of 19.1%, there is need to change this situation. 4. Thirdly, many human and legal persons own assets from which they earn taxable income but deliberately refused to disclose such additional sources of income for purposes of tax. This amounts to tax evasion and a criminal offence. There is need to encourage such persons to voluntarily disclose and pay appropriate taxes as a demonstration of their support to government. 5. Finally, some persons just refused to pay tax because they argue that they are not getting any direct benefits from the previous taxes they pay. As persuasive as their thoughts may appear, they are actually committing serious illegality that is sanctionable. 6. Let me stress the fact that the payment of tax is a legal requirement and therefore, it is mandatory for all persons to pay taxes on their legitimate income. The point must be made that there is no direct relationship between the amount of taxes a citizen pays and the benefits he/she receives or enjoys. Thus, payment of taxes is a civic obligation. It is the citizens’ contributions to the running of government and not an exchange process. With higher tax revenues, the government will be better placed to meet the needs of Nigeria’s growing population. If we pay tax, we can then hold the government accountable. 7. What the government has done with the VAID Scheme, therefore, is to provide a window for all tax defaulters or evaders to voluntarily declare their hidden or previously undeclared assets and income over which they have not paid taxes so that they can be appropriately taxed. In taking this decision, the government wants to forgive their previous sins of not paying taxes as well as waive the associated sanctions. It is more like a tax amnesty. The window which was opened on July 1, 2017 for 9 months will close on March 31, 2018. The message is very simple, declare previously undeclared assets and income, pay appropriate taxes on them and you are good to go. 8. The essence of this seminar therefore is to create awareness amongst CIIN’s stakeholders such that they (i.e., defaulters, if any) can leverage the opportunity to make it up to government by paying their tax obligations. The penalties for not taking advantage of this window for those that will be caught, will be very severe. It is therefore important that we spread the word to encourage more tax compliance. 9. Once again, I welcome you all to this advocacy and awareness creating session. I trust that the experts we have invited will do justice to the intricacies of the issues involved for our collective benefit. 10. Thank you for listening and God blesss.